1 什麼是老年癡呆症? | What is dementia? 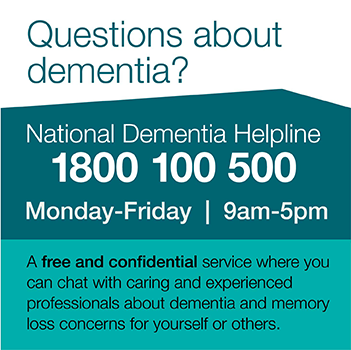 This Help Sheet looks at the wandering behaviour of some people with dementia. The reasons for wandering are discussed, as well as some suggestions for ways to manage it. This Help Sheet addresses concerns families and carers may have when someone with dementia lives alone, and some ways to help the person live alone safely. This Help Sheet provides information for people living with dementia, their families and carers, about understanding and accessing respite services. It provides some practical suggestions for planning and using respite. This Help Sheet describes what to expect in the later stages of dementia as a person with dementia becomes increasingly frail, and it highlights some issues that may be useful to consider.